Although everyone occasionally has a sleepless night, frequent sleeping problems could indicate that you have insomnia. One possible explanation might be a deficiency in vitamins and minerals, particularly magnesium. 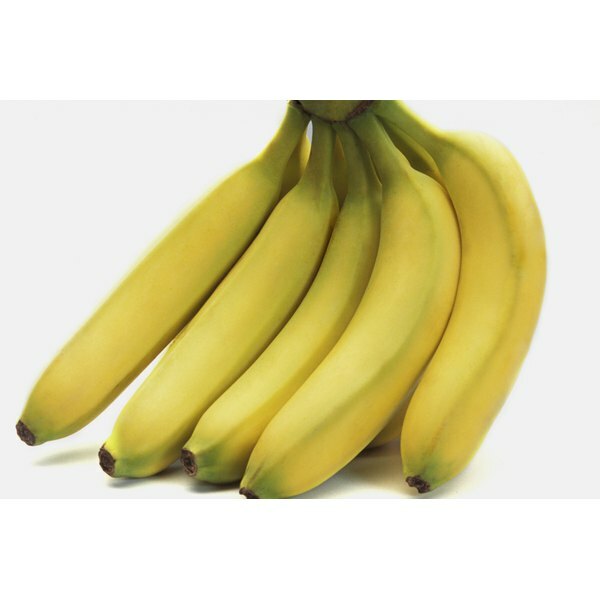 Incorporating bananas, which contain approximately 40 milligrams of magnesium, into your diet might help improve sleep quality. Insomnia is a disorder in which you have difficulty falling asleep, staying asleep or both. Symptoms include difficulty falling asleep regularly, daytime fatigue and awakening during the night. Insomnia can impact your quality of life and your ability to perform everyday activities. Common causes of insomnia include stress, anxiety, depression, caffeine intake and medical conditions, according to MayoClinic.com. Scientists at Albert-Ludwigs-University in Germany studied the impact of magnesium therapy on patients with restless leg syndrome, a condition that often results in insomnia. Patients with insomnia due to restless leg syndrome were assigned magnesium orally daily for four to six weeks. At the end of the study, which was published in the August 1998 issue of “Sleep,” scientists discovered that participants experienced improvements in sleep quality and reductions in restless leg syndrome symptoms. Researchers at the University of Pavia in Italy examined the effects of a food supplement containing 5 milligrams of melatonin, 225 milligrams of magnesium and 11.25 milligrams of zinc on insomnia patients. Subjects received a food supplement or a placebo daily one hour before bedtime for eight weeks. Scientists reported in the January 2011 issue of the "Journal of American Geriatrics Society" that those in the food supplement group experienced improvements in sleep quality compared with those who had a placebo. Besides bananas, magnesium can be found in legumes, nuts, whole grains and baked potatoes and is available in supplement form. Magnesium supplements may interfere with certain medications, including antibiotics and diabetes medications, according to the University of Maryland Medical Center. Consult your health care provider before taking any supplements.